Debut author and fantasy guru Tia Nevitt (THE SEVENFOLD SPELL) gamely exchanged guest blog posts with me when I approached her about my interest in writing An Ode To Science Fantasy. For your reading pleasure, she explores the scandalous (!) idea that science fiction, at its heart, is all fantasy, all the time. I’m of the opinion that science fiction is fantasy with delusions of grandeur. Hey! Don’t throw things at me! I’m a science fiction fan! I say that in the best sense possible. Although I am currently writing fairy tale retellings (The Sevenfold Spell, a racy reimagining of Sleeping Beauty, buy it now! 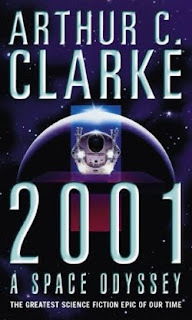 ), I first ventured into speculative fiction via science fiction and Arthur C. Clarke. My father had a worn-out copy of 2001 lying around, and one day, I picked it up and read it. To this date, this is the novel that I list as those with the best sense of wonder. (Don’t believe me? Here.) And as far as science fiction goes, it’s considered “hard”. Not as in with sharp edges or gritty characters, but it is based on “hard science”. (Well most of it. The monolith that was “full of stars” has never been observed in a scientific lab, so we must assume that Clarke dreamed it up.). Back then, I was all, “I don’t read fantasy. I only read stuff that’s real. Or that could be real.” Yeah, right. That’s why I went and devoured 2010, which is even more speculative than 2001, and started Earth’s Children, with all its ancestral memories and shared consciousnesses. My delusions of snobbery didn’t last long. By the time I was 22, I was a committed science fiction and fantasy reader. About that time, I discovered Anne McCaffrey. It was a lesser-known novel called Crystal Singer. My husband (then, boyfriend) had it lying around and I picked it up and read it. I really didn’t like Killashandra much, but I loved the worldbuilding, and the special power based on musical ability. There was more of that sense of wonder again, this time in the ability to instantaneously communicate through these one-of-a-kind crystals. All based on hard science, but with that everpresent spark of fantasy. I’ve read it umpteen times. And then, Alan Dean Foster. A friend of mine hooked me up with many of his books. She urged me to read Sentenced to Prism. 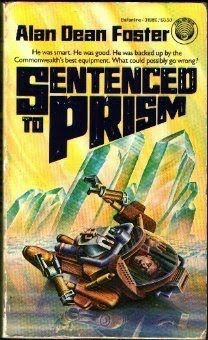 I was immediately put off by the punny title, so first I read some of his Humanx books. By then I was convinced, so I gave it a try. I couldn’t put it down. Here this guy went to this deadly planet inhabited by a silicon-based life-form, and doesn’t dare let his carbon-based self get exposed to the atmosphere. He has all this impressive protective gear, and it doesn’t last five minutes before it’s is compromised and the silicon-based life forms are closing in on him. But then, something wonderful happens. It’s all fantasy. But it’s presented scientifically. And it’s a very satisfying read. Every Star Trek movie made has some element of fantasy. In fact, the elements of fantasy are what made it so popular. The time travel. The mind melding. The various mental powers. My favorite episode was “For the World is Hollow and I Have Touched the Sky.” The whole episode seems like a fantasy, but then in the end you discover that all the magic these people believed in was actually … science. So, yeah. You can pick up a science fiction novel and convince yourself that you are reading something edumacated. That you are of an intellectual elite. That it’s more macho. But you may as well be reading Lord of the Rings, because at its heart, it’s all fantasy. Join the club. We love ya! Not even a stint in the military as an aircraft mechanic could erase Tia Nevitt’s love of fairy tales. To this day, she loves to read (and write) books that take her to another place, or another time, or both. 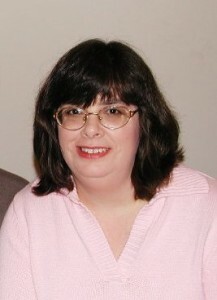 Tia has also worked on an assembly line, as a computer programmer, a technical writer and a business analyst. When she’s not writing, she keeps a book blog called Debuts & Reviews, where she focuses on debut novels. She lives in the southeast with her husband and daughter. 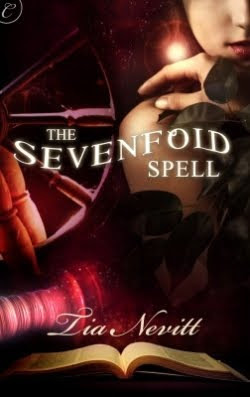 THE SEVENFOLD SPELL is available from Carina Press.